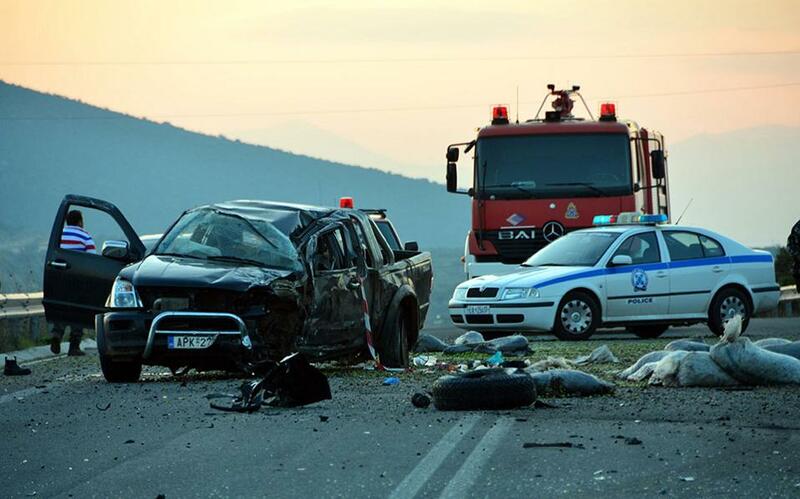 Greece ranks number one in the most deaths from single vehicle collisions (SVCs), a report from the European Transport Safety Council (ETSC) has revealed. SVCs, or accidents with only one vehicle involved, accounted for only one-third of fatal automobile accidents in the EU from 2013-2015, while in Greece, in the same time period SVCs accounted for 42 percent of road fatalities, the report said. Greece’s average death rate from SVCs is the highest in the EU, with some 34 deaths per million inhabitants each year. Also highlighted in the report was that motorcyclists in Greece are involved in 35 percent of the fatal SVCs — showing that they are at a much higher risk of having a fatal accident while driving than those in cars or trucks. The highest age group for fatal SVCs in Greece is from 18-24 years old, with an average of 72 deaths per every million people in this age category. The average for the rest of the 23 EU countries was 38 deaths per every million people. Other countries which ranked after Greece for the highest percent of fatal SVCs were Luxembourg and Cyprus with 41 percent, Belgium with 38 percent, Norway with 37 percent and France with 36 percent.